Do Old Mutual reviews show customer satisfaction? Be alert, as a Moneyweb reader, who invested in 3 of the Insured Investment Plan policies during the 1990s then realised that the payouts fell short of the guaranteed maturity values. Many customers appreciate that for more than 160 years, Old Mutual has provided financial help to people and businesses. And they offer a variety of financial products and services – life assurance, investment, asset management, banking, healthcare and general insurance. Old Mutual reviews show that the company is its customers’ most trusted partner by helping them reach lifetime financial goals. Yet the insurer receives compliments and criticism – how do reviews change your opinions? These plans cover a host of options and provide financial assistance to the policy holder after their death to help them cope with life’s challenges. Importantly, just some of the benefits you get with these particular life cover plans are funeral care, education support, emergency medical response, financial wellness and legal wellness. While it would seem that Old Mutual Life Insurance offers products and services everyone want, all is not as it appears. Significantly, Old Mutual may describe themselves as the largest and most trusted financial services provider in Southern Africa. However, their customers- individuals, businesses, corporates and institutions – have something different to say. Unfortunately, the long-term insurance company received the most complaints during 2016, and this is according to the long-term insurance ombudsman’s annual report. Importantly, Old Mutual reviews topped the list for complaints, with 13.77% of total complaints. Of these roughly 700 complaints, Old Mutual resolved a sum of 469 in 2016. Most of the complaints received were about poor communication and service. Then again, most of the complains coming from the insurer also have to do with poor communication and submission of documents from consumers. So clearly there is a communication problem. Old Mutual recognizes that customers have the right to complain about them, saying they value the feedback from customers. And they say these complaints, when acted upon, can change bad experiences into good, positive experiences. If complaints can’t be solved within the branch, it goes to the Client Relationship Manager. Complaints must be in writing, and be accompanied by all documents related to the complaint. So if you want to write or email the Complaints Management, the contact details are: PO Box 201, Mutualpark,7451. Then, if you are still not satisfied, you can present your case to the Office of Internal Arbitration. The contact details for the Old Mutual Office of Internal Arbitration is PO Box 80, Mutualpark, 7451. When you read about what people have to say on Hello Peter about Old Mutual you get complaints such as ‘bad attitude’, ‘I have been robbed by Old Mutual’, ‘they’re not contactable’ and ‘incompetent consultants’ among others. But make up your own mind! 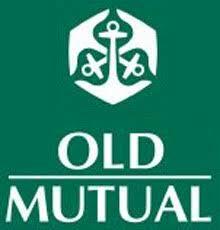 As one of South Africa’s more well known insurance providers, Old Mutual offers a wide range of insurance products. Interested? But before you sign any dotted line with Old Mutual, do research so that you’re not the next person adding a complaint about the insurer on the Hello Peter website.